Your health and wellness is my primary concern. I will provide the necessary support to help facilitate your healing process. I am dedicated and committed to providing the highest quality of care possible. 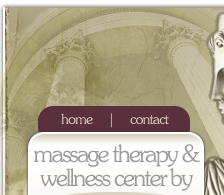 I have been a FL State Licensed Massage Therapist and Nationally Board Certified with NCBTMB since 1996. I graduated from the Sarasota School of Natural Healing Arts. I continue to train with the best instructors in the business, such as Judith DeLany and Paul St. John. I specialize in Neuro-muscular Therapy. I also have training from the Upledger Institute on Craniosacral Therapy as well as Lymphatic Drainage Therapy. I will evaluate your body as a whole unit. I will thoroughly examine your posture, muscles, tendons and ligaments to uncover your hidden sources of pain. The evaluation will make it possible to treat the root cause of your pain.